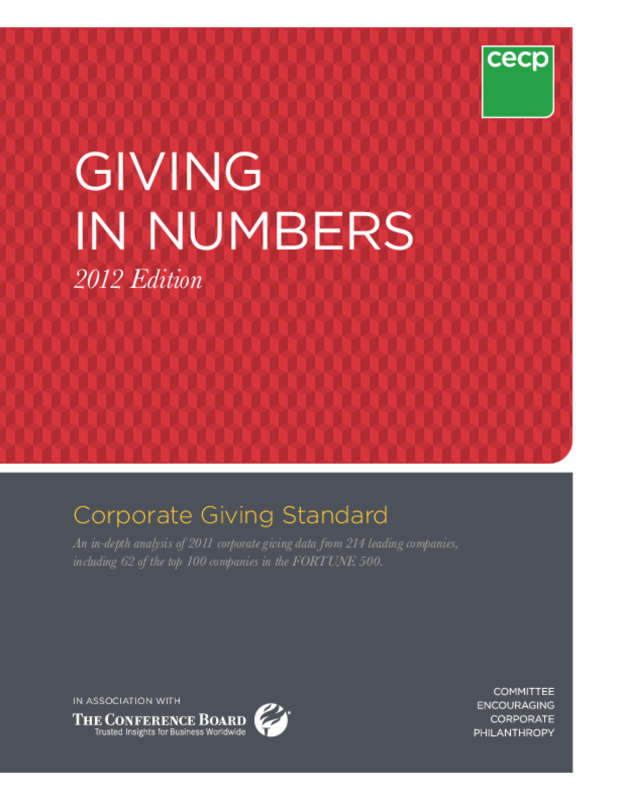 CECP, in association with The Conference Board, produces this annual report, Giving in Numbers, which is corporate philanthropy's premier year-over-year analysis of the CGS data focusing on trends in giving, including cash giving, non-cash giving, volunteer programs, management and program costs, giving focus areas, and more. While global economic uncertainty persists, 2011 data show us that giving is being restored across industries as companies acknowledge that the communities in which they operate need their unique resources and skills now more than ever. A majority -- sixty percent -- of companies gave more in 2011 than in 2009, the year during which companies reduced corporate giving in response to the recession. Copyright 2012 Committee Encouraging Corporate Philanthropy (CECP).